Some of you may have eaten at the famed Lula here in Chicago, and if you haven't put it on your to do list the next time you visit me. They have a dish there called Beet Bruschetta and it is delicious. 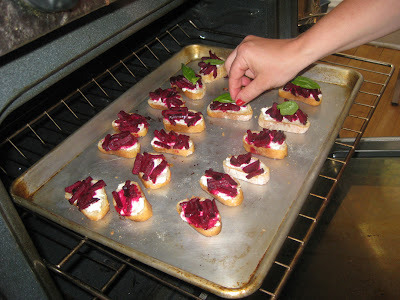 I love to try and replicate my favorite dishes at restaurants and replicate this one, I have. We received these beautiful beets in our CSA (Community Supported Agriculture) box and knew exactly what we were going to make with them. 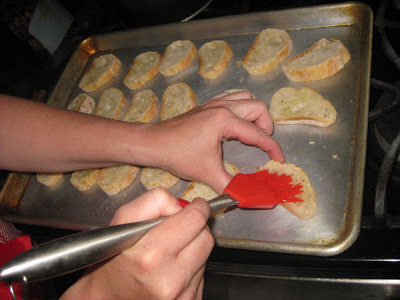 First you will need to cut off those beautiful greens. Yes, you can most certainly cook them for green side dish, but Max and I recently have read The Corrections in which there is a horrifying dinner scene of being force fed overcooked beet greens, so I needless to say I didn't make the greens. I know, I know. 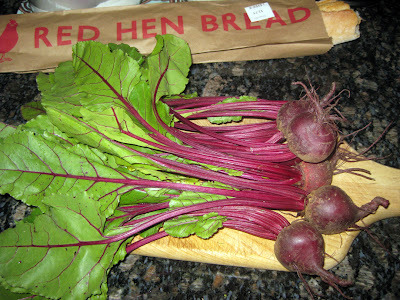 Next you peel and dice up your beets. 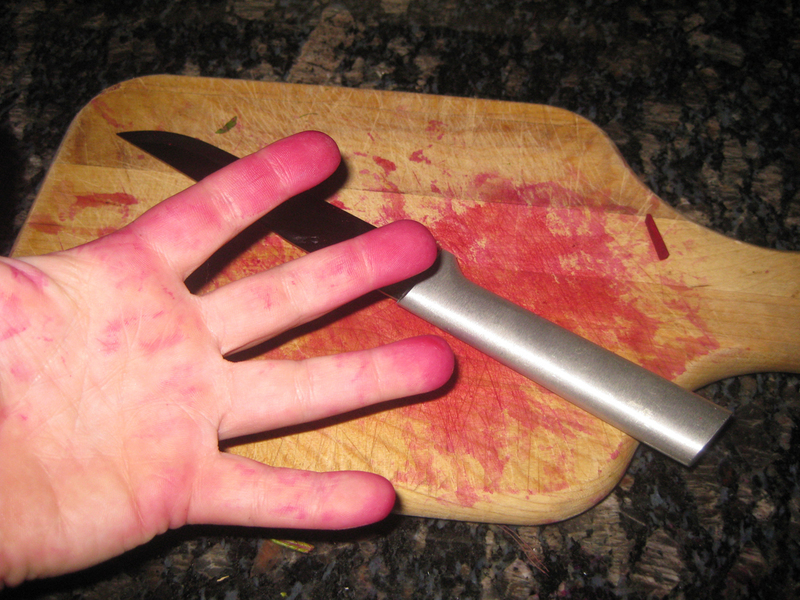 Be prepared for your hands, knife, and cutting board to become stained beet purple. Love it. 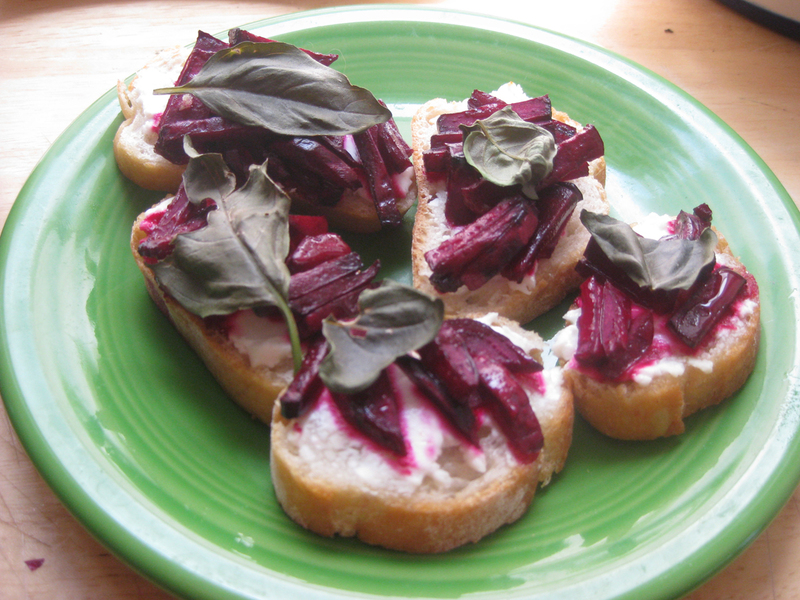 If you have time, let your beet dicings marinade in a little olive oil and balsamic. This is not necessary, but I do think it adds a bit of flavor. Slice up your baguette and brush with oil. 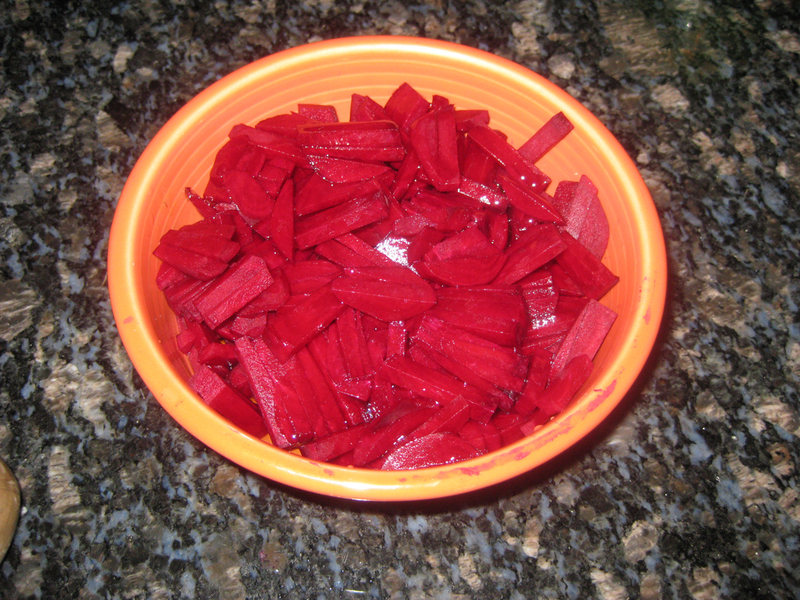 If you are marinating your beets, just use that oil. 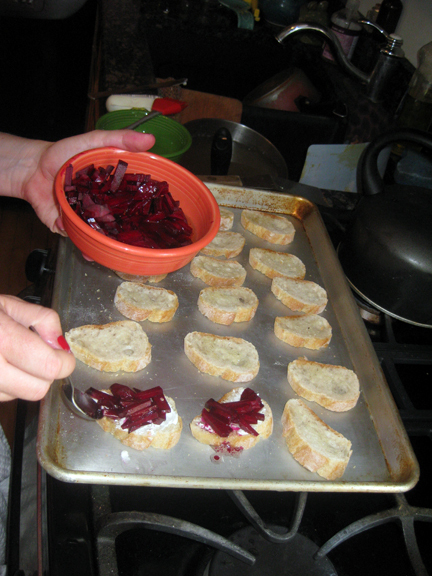 Spread each baguette slice liberally with goat cheese and then top with some beets. currently. ** So I put the basil on the beets just before they were done cooking. 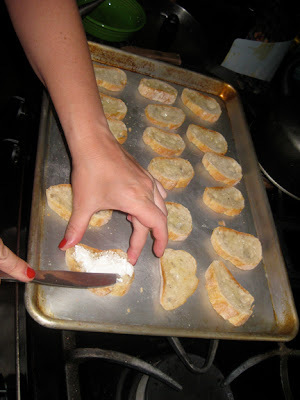 I'm am writing this now so I don't forget, and you don't make the same mistake (although it still tastes awesome). . . julienne the basil leaves and top AFTER taking the bruschetta out. The basil will, obviously, have more taste. Remember, us ladies at The Test Nest are still just testing everything out. And presto, you have a stunning appetizer or in our case lunch. Enjoy.